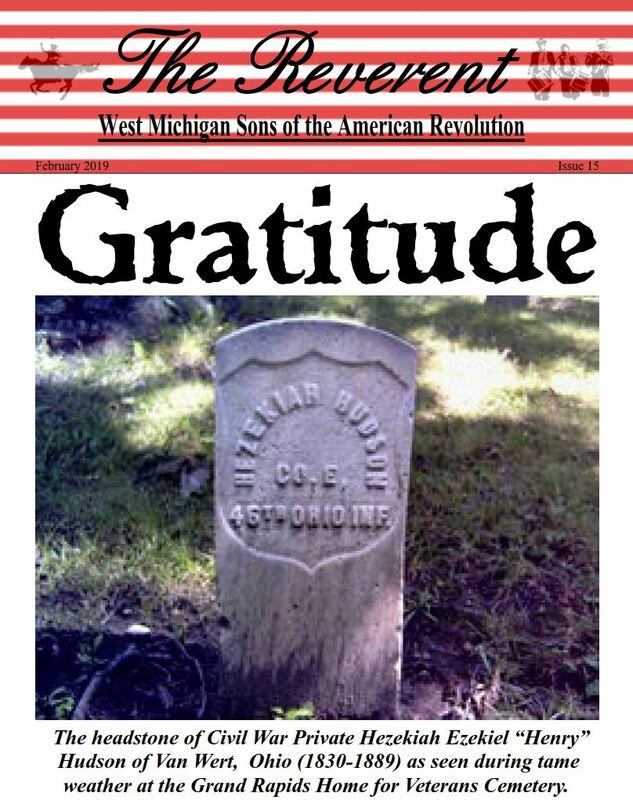 The West Michigan Chapter of the Michigan State Society of the SAR is the oldest chapter in the State. At a special meeting of the MISSAR, held at the Russell House Parlors in Detroit on the evening of May 19, 1896, a resolution was adopted "authorizing the Secretary to carry into effect the necessary requirements for forming a Chapter in the City of Grand Rapids." Today, the West Michigan Chapter of the SAR works to actively contribute to our community, partnering with our sisters in the DAR and our local CAR chapter.